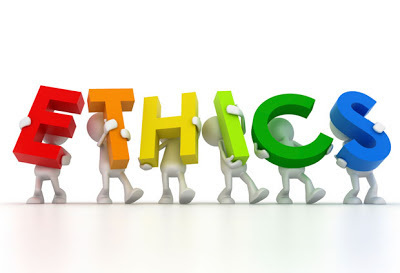 Professionalism: Ethical Guidelines - I Love ABA! Some people say common sense isn’t so common because not everyone has it. Well I would say the same for professionalism, unfortunately. Many who call themselves “Professionals” lack the ability to display ethical, professional behavior toward others. Whether due to a true skill deficit, or just ego, sometimes the very individuals who are in positions of leadership or authority can also be the most unprofessional. Along with behavior theory, analytical skills, research design knowledge, etc., I strongly believe that an excellent BCBA or ABA therapist must possess Professionalism. Professionalism is simply setting a standard of behavior for yourself, and deciding that regardless of the situation or the client you will maintain that standard. As an ABA professional, no matter how long you have been in this field your ethical behavior will set you apart from the pack. Professionalism shows people that you are in this field for the right reasons and have integrity. It doesn't matter how long you have been working in this field, it is important to have integrity and respect for the people around you. The way you treat people and interact with clients won’t be quickly forgotten. Trust me; parents have very good memories when it comes to bad experiences with rude, money-hungry, poor quality, or condescending ABA providers. The Golden Rule, “Do unto others as you would have them do unto you” is a great starting point for developing a habit of professional behavior. Families appreciate and deserve respectful treatment from their ABA provider. By making a professional impression upon your clients, you also help to raise the bar of what they expect in the future from other ABA professionals. So in a way, you have the opportunity to improve the behavior of people you may never meet. Kindness and manners are always appreciated – Manners go beyond just “please” and “thank you”. Remain mindful that as ABA therapists we often work inside of peoples homes: Clean up after yourself, greet everyone when you enter, and have a warm demeanor. If you need to schedule a meeting with the family you work for, don’t tell them when the appointment will be, ask when they are free. Return phone calls and emails promptly (within 24 hours is best) and notify clients if you will be late for a session. Even if you are only running a few minutes late, sometimes parents have rearranged their entire day to accommodate your therapy session. Maintain boundaries with clients – Part of being a professional is understanding your role. 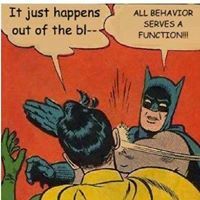 You were hired to do a specific job, and that is to provide ABA therapy. No matter how nice or friendly your client may be, it’s inappropriate to become more of a friend and less of an ABA therapist. The risk of getting too close to a client is that you can lose your objectivity. The family could also come to depend on you more than they should. Be tactful – Parents often tell me “It wasn’t what they said to me, it was how they said it”. Even bad news can be delivered in a way that minimizes hurt or angry feelings. Be aware of your tone of voice, facial expressions, and the words you choose. Are your words accusatory? Does your facial expression make you appear angry? Do you use lots of frustrated sighs when talking to a particularly difficult client? Be mindful of tact when communicating. Don’t give false hope – Working with a family who has a special needs child is a very important job, and an emotional job. Parents will ask you all kinds of questions about the future, what could happen, what will happen, etc. It is highly unprofessional to answer emotional questions from a parent such as “Why did this happen” or “Will she ever talk”. Be careful of making recommendations based on your own opinion, as some parents may treat it as fact. If you mention in conversation that a certain supplement is great for hyperactivity, the parent might go purchase that supplement just because you “endorsed” it. No matter how long you have been in this field, I can guarantee that you lack the ability to see the future, or know everything there is to know about Autism. It is better to say “I don’t know” than to give a desperate parent false hope. 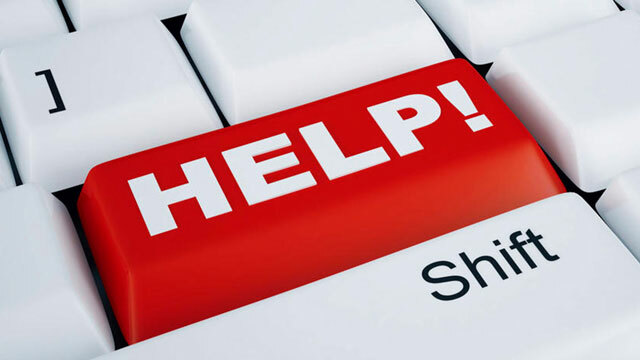 Leave a situation the way you entered it (as a professional) – Leaving a company, position, or family can be emotional and difficult for both sides. Families or agencies often take resignations personal, no matter what your reason may be for leaving or how much notice you give them. It’s important not to burn bridges. This field and the Autism community can be smaller than you think. Give adequate notice, offer to help train your replacement, and be honest about why you are leaving…..even if the employer doesn’t appreciate your honesty and chooses to be angry and resentful. You can make a choice to remain professional regardless of how you are treated. 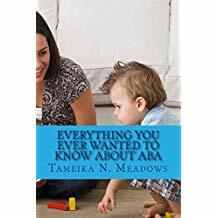 Respect the expertise or knowledge level of non-ABA people – Avoid being condescending to non-ABA professionals who you must collaborate with, such as teachers, paraprofessionals, nannies, grandparents, etc. You should be able to explain what you do and what ABA is to anyone who asks, using simple language. I have met teaching staff who assumed that just because I was an ABA therapist I would be rude or dismissive. When you interact with people as an ABA professional you have an opportunity to not just represent yourself but the whole field. You have the power to change opinions and mindsets. “Confrontation” is not a bad word- Confrontation can get a bad rap. Just the thought of having to confront someone can make people feel anxiety or fear. Confrontations do not have to be hostile or explosive. In this field, being adept at confronting issues with a client is a must. Issues will happen, and as the professional you should be the first one to address it. With tact and emotional self-control, you should be able to discuss and resolve any issue with a client. As one of my supervisors used to say "Be a grown up!". Listen more than you talk- I believe that an indicator of arrogance is someone who talks much more than they listen. Have you ever been on a job interview and not been able to get 2 words in because the interviewer won’t stop talking? People who cannot listen are people who do not value what others have to say. I remember many years ago I had a client say to me that she could tell I was new to the field, because I asked her so many questions and then actually listened to her responses. As professionals, we have so much valuable and important information to share with parents, but parents also have valuable information to share with us. Professionalism is knowing when to speak and when to just be quiet and listen. How would you advise a parent to act if she suspects unethical practices going on at an ABA center? Great question. First I would recommend speaking directly with the center owner/management and talk about the concerns. See how the owner plans to address the concerns, and what issues are they prepared to fix. 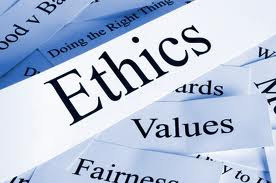 I also suggest visiting the BACB website (a link is at the bottom of the post) to review the ethical standards for this field, as they outline very clearly what ethical ABA practices should include.